I have a family that LOVES bread, so I had to experiment making bread with Spelt since I decided I was converting to Spelt. I found a bread recipe for 100% Whole Wheat Bread and adapted it for Spelt with the most success of all the recipes I have tried. This recipe makes three 1 1/2 lb. loaves in 9 x 4 x 3 inch pans. I also milled my own flour using my WonderMil. 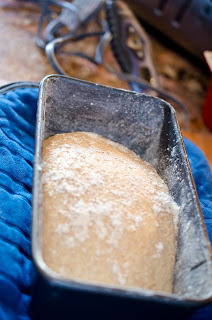 I only have one pan, so thankfully this dough lasts in the refrigerator for two weeks. 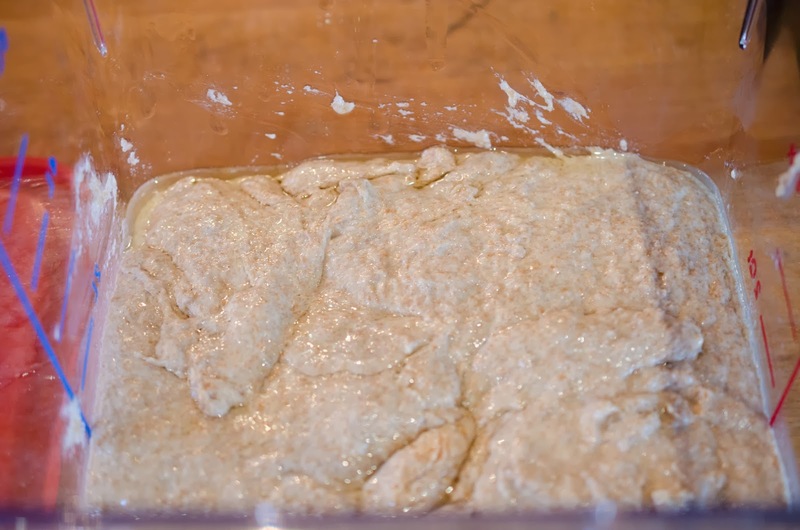 You will need warm water, warm milk, instant yeast, Kosher salt, honey, oil, and spelt flour or whole wheat flour will also work. 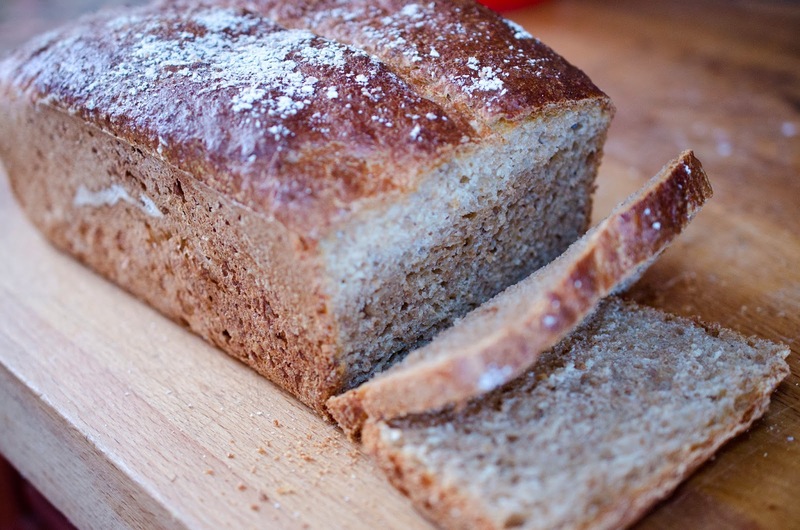 Look at that beautiful loaf of homemade bread, want some? Ingredients for this recipe are: 1 1/2 cups lukewarm water, 1 1/2 cups lukewarm milk, 1 1/2 tablespoons instant yeast (2 packets), 1 tablespoon Kosher Salt, 1/2 cup honey (I used raw), 5 tablespoons vegetable oil, and 6 2/3 cups spelt flour or whole wheat flour. 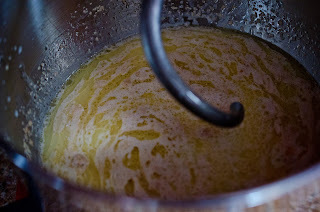 Mix water (microwave for 30 seconds), milk (microwave for 30 seconds), honey, instant yeast, Kosher salt, and vegetable oil in the bowl of a stand mixer with dough hook. 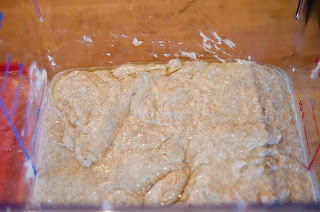 Allow to rest until yeast foams (5 minutes). 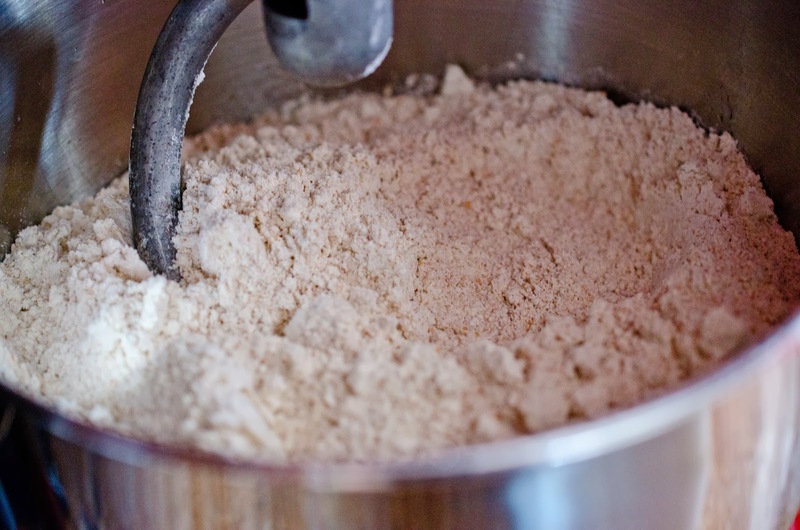 Add flour and mix with dough hook until incorporated. Yes this is a wet dough. Spray lidded container (5 quart) with oil. 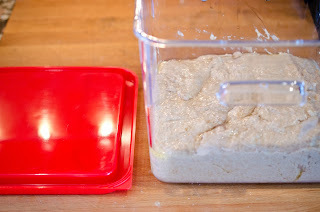 Get hands wet and remove dough and place in container. 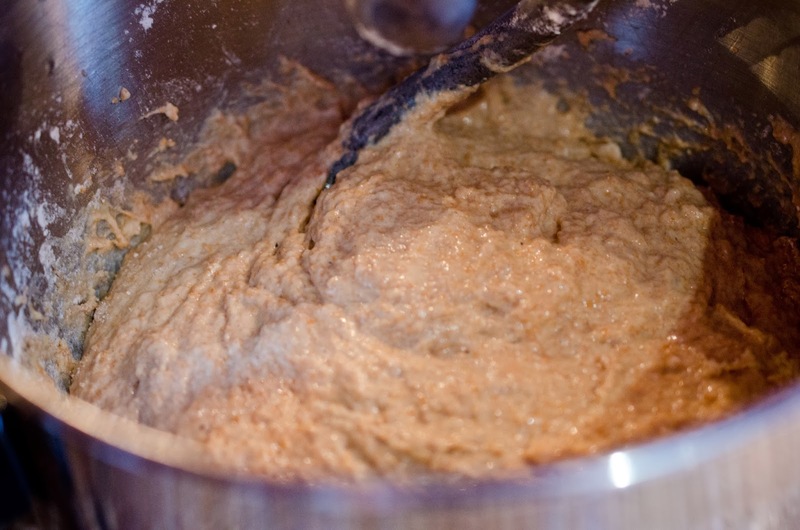 Allow dough to rest for two hours. At this point you may use the dough to make bread or refrigerate for up two weeks. Remove 1 1/2 lbs. of dough (you have three loaves worth), knead with some flour and pull the side under and create a loaf and place in a greased pan (I also added flour to the pan). 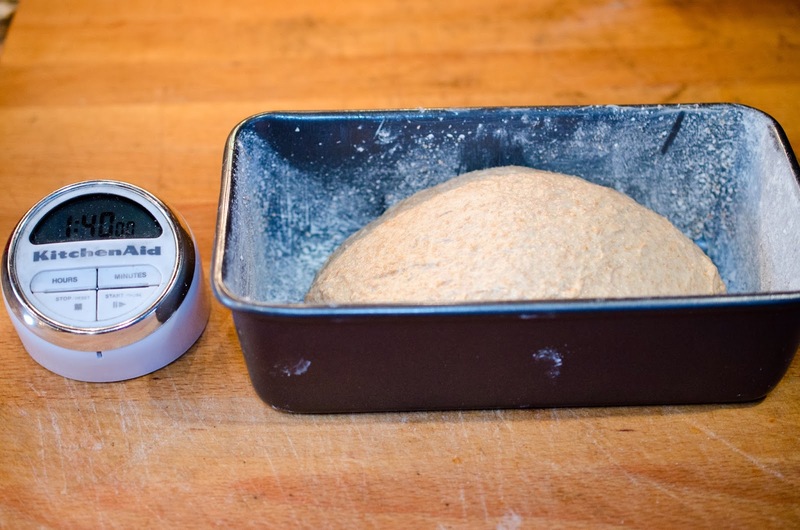 Allow bread to rise for 1 hour 40 minutes. You can give the dough a little help being warm by placing it on a heating pad set to medium. Preheat oven to 350 Fahrenheit twenty minutes before rise time ends. Flour top of dough, and slash. 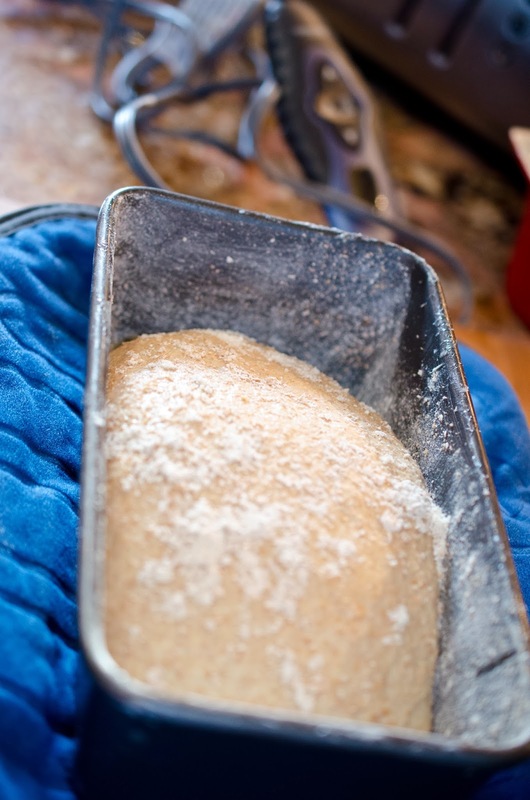 Pour 1 cup of hot water into an oven safe pan (broiler pan would work) at bottom of oven, and quickly place the dough in the bread pan in the middle of the oven. Bake the bread for 50 to 60 minutes.